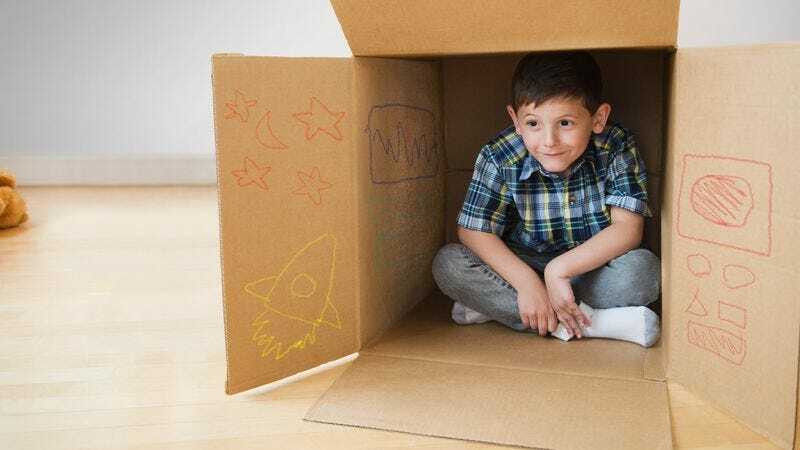 TOLEDO, OH—Describing how the child entered a state of complete mental serenity free from any stress or anxiety as soon as he closed the flaps of the large shipping carton over him, sources confirmed Thursday that sitting inside his cardboard box is the safest local 6-year-old Kyle Wolfe will feel for the remainder of his life. “Countdown to blastoff,” said the child, who reportedly will not experience a greater sense of security, comfort, or self-assuredness during the next seven decades than he does right now sitting cross-legged between the crayon-covered corrugated walls of his pretend spaceship. “Hold on tight. Let’s explore outer space..” At press time, Wolfe’s father was reportedly tossing the flattened cardboard box into the recycling.